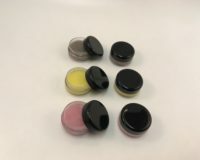 Our entire lip line is vegan and made with the finest ingredients that are free of animal fats, fillers, and chemicals. Exfoliate with our preservative free lip scrub filled with pure cane sugar. Then moisturize your lips with our balms. We use plant wax for our balms which make them stronger and last longer than using beeswax. Looking for a personalized gift favor? 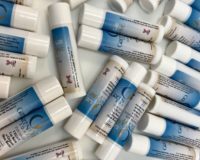 Personalize your lip balm or scrub for your special day.